I recently joined the Prime Mom Club of MegaPrime. Before they approved my membership, they asked me this question - what are the qualities of a Prime Mom. And my answer: a Prime Mom is innovative, creative and money savvy. As a mother of two, I always try to work on these three characteristics. Being money savvy is easy. I was born kuripot hahaha! Being creative also, is easy. But being innovative is not. Its hard to think of new ways of dealing with everyday tasks. Like disciplining, or keeping your teens busy at home. And the biggest challenge -- being innovative in the kitchen. How do you make NEW recipes that your family will love. Or at least, make a few twists and innovation to ordinary recipes to make it interesting. So when I got an invite to the 2nd Prime Mom Club's workshop, I was so excited. Because I know that its a chance to further enhance my kitchen knowledge, at the same time, the invite said, the workshop is geared towards MOMPRENEURS to learn about new business in time for the holidays. 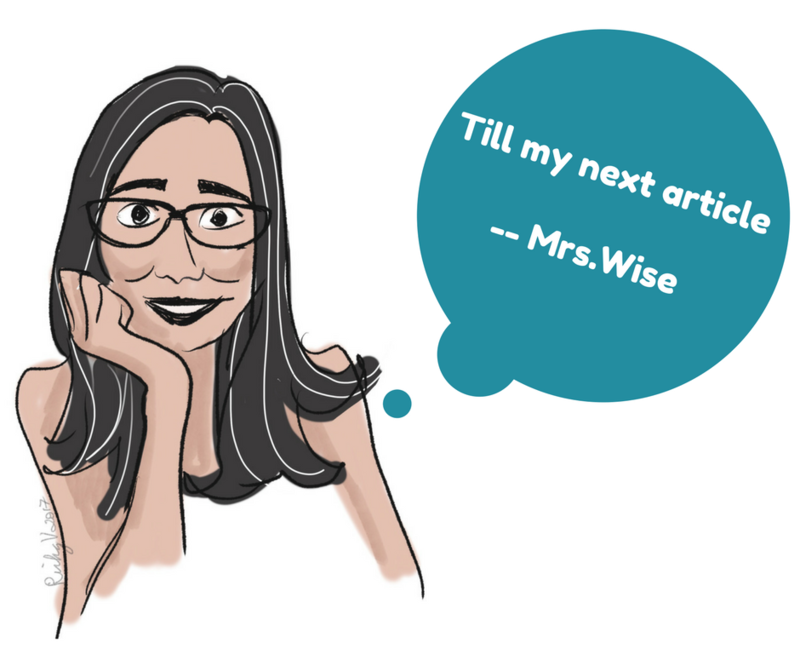 I said yes right away to this event, because it is a chance to learn something new! First workshop was how to make Holiday trinkets. I have been the crafty mom, but age caught up with me, that now I am having a hard time looking at small pieces of materials without my glasses hahaha! But that did not stop me from actively participating in the trinket making. It was the first time that I used long nose pliers in manipulating those small rings to make the trinkets. MRSWISE TIP: I suggest you don't cut your nails if you want to go into crafting. I had a hard time manipulating the jump rings and eyepins of the small chains because I cut my nails just before I went to the workshop LOL! Take a look of the finished product that I made. Very cute! Chef Mira is one of the favorite chefs of Ms. Marian. And now I know why. The desserts she taught us in the afternoon were all delish. And so easy to make. She taught us how to make polvoron by toasting 500 grams all purpose flour. After that, she set aside the flour, then placed the 500 grams of salted butter in the pan. In the flour she mixed 400 grams of sugar and 500 grams of powdered milk. Lastly, she put in the cranberries. As chef Mira and Marian were molding the polvoron, my mind was thinking of local alternatives to cranberries -- maybe Kasuy, chocolate chips, or for the hubby and I -- I can put on some healthy alternatives - maybe mint or sweet basil or any herb found in my garden. What a nice idea di ba? Hmm... something healthy and sweet that I can probably do by early next year. New year... new business! Next sweet treat taught by Chef Mira -- my fave -- pastillas. Yum! This one was even easier than the polvoron - because you don't need to cook anything. We just mixed the powdered milk and the condensed milk. Instead of the ordinary sugar, we used colorful sugar sprinklers, bagay na bagay sa Pasko! 1. 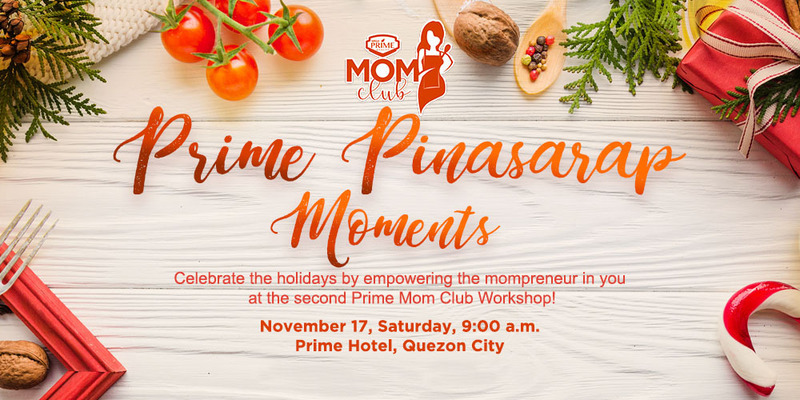 You get invited to the Prime Mom Club events that can teach you new things. Mega Global has always believed in the power of moms in the family and women in general, and they will continue to harness the capabilities of mommies through workshops. 2. If you are a member, you get special perks. By next year, Mega Prime will launch their REWARDS system for Prime Club Members. This is exciting because you get exciting products and freebies just by becoming an ACTIVE member. Stay tune for more announcements regarding the Rewards System. 3. You also get to take home awesome products from workshop sponsors. Look at what I got from Alaska, Clara Ole, Dona Maria, King Sue, Kamuning Bakery, Masflex and COOK Magazine. 4. You get to listen and chat with Marian. If in the past, she judged my recipe and said she liked it, this time, I got the chance to ask her a question. I asked her what would be her Noche Buena Menu for this year - and she replied, "the beef steak is a staple." She also showed us how she cooks her beef steak/salpicao in the workshop. 5. You constantly get recipes on how to cook Mega Prime products like Whole Mushrooms, Pieces and Stems Mushrooms, WHole Kernel Corn, Cream Style Corn, Green Peas, Garbanzos, canned fruits and canned sweet preserves. Recently, Mega Prime launched a new product line comprised of sauces/condiments and noodles. So what are you waiting for? Join the Prime Mom Club at www.primemomclub.com to get special perks as well as opportunities to join an interactive, growing community of like minded home makers, where you and other Prime Moms are encouraged to discuss and share insights and our very own helpful nuggets of Prime Mom wisdom. Hmm... maybe for the 3rd workshop -- they can teach me more about gardening (my passion) then cooking the harvest with the Mega Prime products. Whatsathink of my suggestions WiseyMomshies?? ?